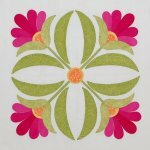 Working on a quilting project and need some help? Phoebe and/or Sandy will help navigate you through your next project. The first of 3 projects from this great pattern book. The tote is the first project. The Petal Pouch is second and finally the wallet. See the description for pictures. Make good use of your scrap stash! *Please note that all classes, events and workshops are to be paid for at least 3 days in advance to ensure we have plenty of the necessary supplies. Thank you! Start from the very beginning on learning how to use your serger. This class is designed for the newest of students as the first part of the serger introduction classes. We will be making the sparrow. It can become a wonderful pin cushion, a cute stuffed animal or a fun mobile. Great Valentines Day Quilt...or year round. Learn this fun piecing technique and the wool embellishments. UnFinished Objects. Come to our UFO day to get help, inspiration or a dedicated time to finish up some projects. Ok, you can start an new one too. Terri will help you with any quilting project at any stage. Fun for everyone. Join us for some hand stitching projects. Bring your own. Help is offered. 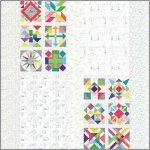 This is a great progression from the Quilt 101 - Do-Si-Do class. It is Jacob's Ladder on point. Learn how to diagonal set, miter corners, chain piece, stack & cut, sew-n-whack 1/2 square triangles and more. This class will teach you how to create a cute bag any size that you would like. This bag has a zipper and finished seams. Workshop changes each month. Please contact the guild for registration and requirements. We are hosting a Block of the Month with the Spotted More Paper Pattern. There will be an initial patter purchase/buy-in and if you keep to the demo days, you will receive the rest of the fabric to complete the blocks for free. This is a series of classes to teach the principals and techniques of machine embroidery. It would be very helpful for all students to take the beginning class. The rest of the courses can be taken at any time as they do not necessarily build upon each other. The first class will focus on Stabilizers, threads, hooping, fabric choices, proper stitch design for the type of fabric you are using, needle types and uses, how to download a design, how to use a built in design. We will choose and stitch out a design that you have built in your machine based upon the lessons that you have learned. Subsequent classes will be focused upon embroidering on different types of material or teaching a new technique the classes will be as described below. Come and help Annie's Star Quilt Guild with one of their Community Service Project! We will be sewing hearts and dolls. Easy beginner projects for the serger. This class is designed to get you using your serger. Janice has a different project each month. Class size is limited so she can give personal attention to each of you. Hope to see you there. This month is the flatlock placemat. Board meeting is once a month. Enter on the side of the building. Spend the day working on a sewing project. Rebecca will be there to provide help with your project. Join Terri the 2nd Friday of each month for a UFO Friday night adventure! Pillowcases make a fun fast gift or project. Come make 2-3 pillowcases in this class. Learn a different method from the Burrito Roll method. This is a class that will teach you the basics in how to bind your quilt. Even if you have been binding quilts for a long time, come learn some short cuts and tricks to finish your quilt perfectly. All the committees for the next ASQG quilt show. Terri is teaching a class designed for a scrap stash buster or your favorite fabric line. You will learn the quick and easy way to piece this beautiful quilt. Terri will lead this as a Block of the Month. Terri will have some ideas on how to be efficient in your planning to make the best of this project. There are a lot of short cuts that are not in the book or on the blog. 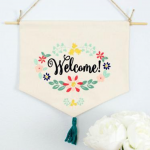 The next class in Janice's series to get you sewing with your serger. This is part 2 of a 3 part series. All day and evening sewing fun! Join the gals for a fun weekend of sewing, food and friendship. 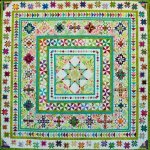 Debbie D'Ewart will provide instruction on machine quilting that goes beyond the basics. She will demonstrate many techniques to complete your project and finish with a great result. Class to construct a useful and organized tool bag. You will learn tricks to install zippers and interfacing. Create your own quilt of "memories" from your favorite fabrics. The third class in the beginning Serger class series with Janice West. This class is for the construction of the Range Back Pack. This back pack can be personalized in so many ways. Learn to make a rope bowl basket in one afternoon! A totally different technique to create this sunflower wall hanging. You will construct the top without a single stitch!